Great nose that ticks all the boxes, from the mineralic and "industrial" aspects of Ben Nevis to its fruity side. Here the refill cask shows its strengths. The palate is less thrilling, though, partly because of the low strength, and partly because the washed-out cask has added quite a lot of bitter notes, which certainly aren't for everybody. However, if you like your Ben Nevis austere and uncompromising (and mostly free of sherry tones), this is just about right. 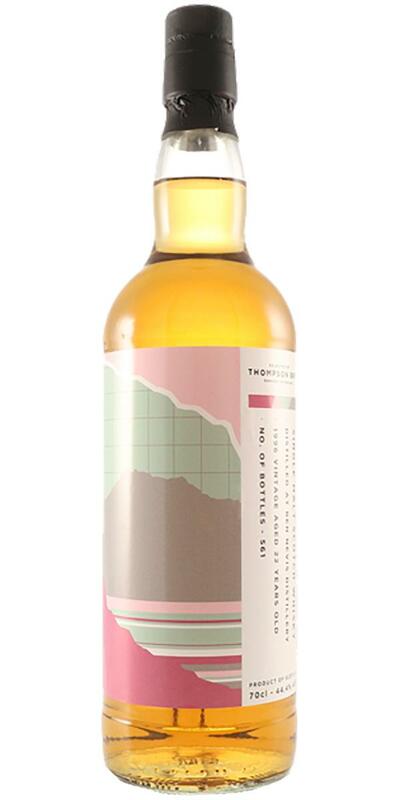 Re-re-re-refill at the very least (no ”contemporary" sherry notes to be found here), but there's nothing wrong with that, at least not with a distillate as characterful and funky as Ben Nevis. Really reminds you of Springbank, only this has more fruit: peach, apricot, good ol' grape. In the absence of strong wood notes, the mineralic and greasy aspects of the spirit come to the fore: on the one hand, wet sand and pebbles, gravel, limestone; on the other, machine oil, coal fumes, bicycle chain grease. On the even-more-idiosyncratic side, there's also some wet wool and/or wet dog fur. So yeah, it's different, to say the least, and definitely not boring. Sour/bitter, on grapefruit and aspirin tablets, with some fizziness. Campari-Soda comes to mind. Not very "mainstream", to say the least. Ordinary Ben Nevis, but I find him not very complex and, despite 44.4%, surprisingly sharp. The herb notes dominate, fruit notes are almost completely submerged. The finish is then a bit ... boring.